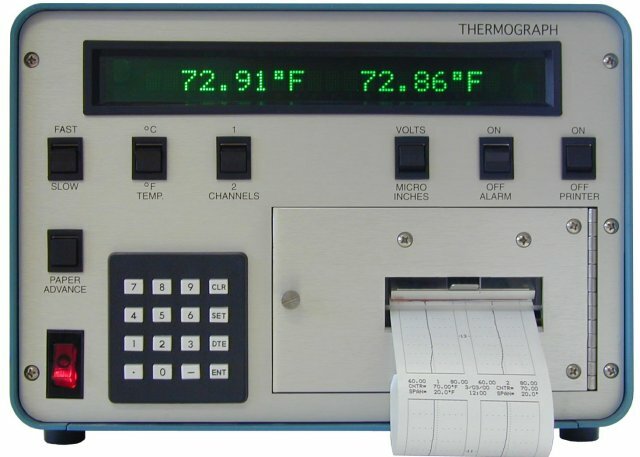 The Thermograph II is a precision temperature monitoring device that Plots temperature changes against time on a paper strip recording. It accepts up to 2 analog inputs. The inputs may be direct analog voltages or from thermistor probes. This device is accurate to within +/- .01% Degrees Fahrenheit/Celsius. Download Thermograph II Datasheet in Adobe pdf. 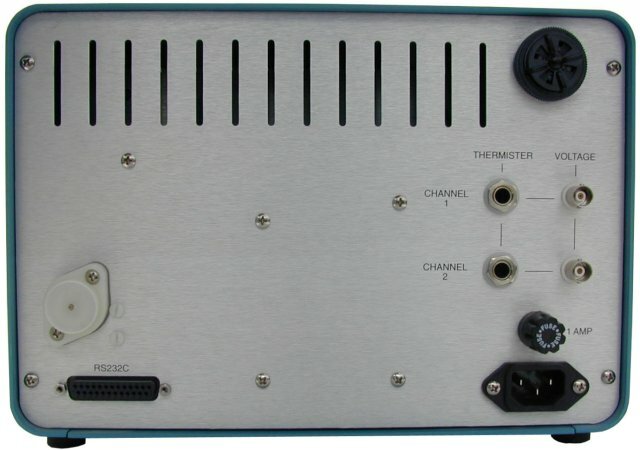 ThermographII: Front and back views shown here.